The term Commission is variously used, either in the narrow sense of the 28-member College of Commissioners (or College) or to also include the administrative body of about 32,000 European civil servants who are split into departments called directorates-general and services. The procedural languages of the Commission are English, French and German. The Members of the Commission and their "cabinets" (immediate teams) are based in the Berlaymont building in Brussels. 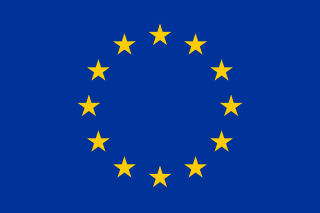 The European Commission derives from one of the five key institutions created in the supranational European Community system, following the proposal of Robert Schuman, French Foreign Minister, on 9 May 1950. Originating in 1951 as the High Authority in the European Coal and Steel Community, the Commission has undergone numerous changes in power and composition under various presidents, involving three Communities. The first Commission originated in 1951 as the nine-member "High Authority" under President Jean Monnet (see Monnet Authority). The High Authority was the supranational administrative executive of the new European Coal and Steel Community (ECSC). It took office first on 10 August 1952 in Luxembourg City. In 1958, the Treaties of Rome had established two new communities alongside the ECSC: the European Economic Community (EEC) and the European Atomic Energy Community (Euratom). However their executives were called "Commissions" rather than "High Authorities". The reason for the change in name was the new relationship between the executives and the Council. Some states, such as France, expressed reservations over the power of the High Authority, and wished to limit it by giving more power to the Council rather than the new executives. Louis Armand led the first Commission of Euratom. Walter Hallstein led the first Commission of the EEC, holding the first formal meeting on 16 January 1958 at the Château of Val-Duchesse. It achieved agreement on a contentious cereal price accord, as well as making a positive impression upon third countries when it made its international debut at the Kennedy Round of General Agreement on Tariffs and Trade (GATT) negotiations. Hallstein notably began the consolidation of European law and started to have a notable impact on national legislation. Little heed was taken of his administration at first but, with help from the European Court of Justice, his Commission stamped its authority solidly enough to allow future Commissions to be taken more seriously. in 1965, however, accumulating differences between the French government of Charles de Gaulle and the other member states on various subjects (British entry, direct elections to Parliament, the Fouchet Plan and the budget) triggered the "empty chair" crisis, ostensibly over proposals for the Common Agricultural Policy. Although the institutional crisis was solved the following year, it cost Etienne Hirsch his presidency of Euratom and later Walter Hallstein the EEC presidency, despite his otherwise being viewed as the most 'dynamic' leader until Jacques Delors. The three bodies, collectively named the European Executives, co-existed until 1 July 1967 when, under the Merger Treaty, they were combined into a single administration under President Jean Rey. Owing to the merger, the Rey Commission saw a temporary increase to 14 members—although subsequent Commissions were reduced back to nine, following the formula of one member for small states and two for larger states. The Rey Commission completed the Community's customs union in 1968, and campaigned for a more powerful, elected, European Parliament. Despite Rey being the first President of the combined communities, Hallstein is seen as the first President of the modern Commission. The Malfatti and Mansholt Commissions followed with work on monetary co-operation and the first enlargement to the north in 1973. With that enlargement, the Commission's membership increased to thirteen under the Ortoli Commission (the United Kingdom as a large member was granted two Commissioners), which dealt with the enlarged community during economic and international instability at that time. The external representation of the Community took a step forward when President Roy Jenkins, recruited to the presidency in January 1977 from his role as Home Secretary of the United Kingdom's Labour government, became the first President to attend a G8 summit on behalf of the Community. Following the Jenkins Commission, Gaston Thorn's Commission oversaw the Community's enlargement to the south, in addition to beginning work on the Single European Act. The Commission headed by Jacques Delors was seen as giving the Community a sense of direction and dynamism. Delors and his team are also considered as the "founding fathers of the euro". The International Herald Tribune noted the work of Delors at the end of his second term in 1992: "Mr. Delors rescued the European Community from the doldrums. He arrived when Europessimism was at its worst. Although he was a little-known former French finance minister, he breathed life and hope into the EC and into the dispirited Brussels Commission. In his first term, from 1985 to 1988, he rallied Europe to the call of the single market, and when appointed to a second term he began urging Europeans toward the far more ambitious goals of economic, monetary and political union". The successor to Delors was Jacques Santer. As a result of a fraud and corruption scandal, the entire Santer Commission was forced by the Parliament to resign in 1999; a central role was played by Édith Cresson. These frauds were revealed by an internal auditor, Paul van Buitenen. That was the first time a Commission had been forced to resign en masse, and represented a shift of power towards the Parliament. However, the Santer Commission did carry out work on the Treaty of Amsterdam and the euro. In response to the scandal, the European Anti-Fraud Office (OLAF) was created. Following Santer, Romano Prodi took office. The Amsterdam Treaty had increased the Commission's powers and Prodi was dubbed by the press as something akin to a Prime Minister. Powers were strengthened again; the Treaty of Nice, signed in 2001, gave the Presidents more power over the composition of their Commissions. José Manuel Barroso became President in 2004: the Parliament once again asserted itself in objecting to the proposed membership of the Barroso Commission. Owing to this opposition, Barroso was forced to reshuffle his team before taking office. The Barroso Commission was also the first full Commission since the enlargement in 2004 to 25 members; hence, the number of Commissioners at the end of the Prodi Commission had reached 30. As a result of the increase in the number of states, the Amsterdam Treaty triggered a reduction in the number of Commissioners to one per state, rather than two for the larger states. Allegations of fraud and corruption were again raised in 2004 by former chief auditor Jules Muis. A Commission officer, Guido Strack, reported alleged fraud and abuses in his department in the years 2002–2004 to OLAF, and was fired as a result. In 2008, Paul van Buitenen (the former auditor known from the Santer Commission scandal) accused the European Anti-Fraud Office (OLAF) of a lack of independence and effectiveness. Barroso's first Commission term expired on 31 October 2009. Under the Treaty of Nice, the first Commission to be appointed after the number of member states reached 27 would have to be reduced to "less than the number of Member States". The exact number of Commissioners was to be decided by a unanimous vote of the European Council, and membership would rotate equally between member states. Following the accession of Romania and Bulgaria in January 2007, this clause took effect for the next Commission. The Treaty of Lisbon, which came into force on 1 December 2009, mandated a reduction of the number of commissioners to two-thirds of member-states from 2014 unless the Council decided otherwise. Membership would rotate equally and no member state would have more than one Commissioner. However, the treaty was rejected by voters in Ireland in 2008 with one main concern being the loss of their Commissioner. Hence a guarantee given for a rerun of the vote was that the Council would use its power to amend the number of Commissioners upwards. However, according to the treaties it still has to be fewer than the total number of members, thus it was proposed that the member state that does not get a Commissioner would get the post of High Representative – the so-called 26+1 formula. This guarantee (which may find its way into the next treaty amendment, probably in an accession treaty) contributed to the Irish approving the treaty in a second referendum in 2009. Lisbon also combined the posts of European Commissioner for External Relations with the Council's High Representative for the Common Foreign and Security Policy. This post, also a Vice-President of the Commission, would chair the Council of the European Union's foreign affairs meetings as well as the Commission's external relations duties. The treaty further provides that the most recent European elections should be "taken into account" when appointing the Commission, although the President is still proposed by the European Council; the European Parliament "elects" the Commission, rather than "approves" it as under the Treaty of Nice. In 2014, Jean-Claude Juncker became President of the European Commission. Juncker appointed his previous campaign director and head of the transition team, Martin Selmayr, as his chief of cabinet. During the Juncker presidency Selmayr has been described as "the most powerful EU chief of staff ever." The Commission was set up from the start to act as an independent supranational authority separate from governments; it has been described as "the only body paid to think European". The members are proposed by their member state governments, one from each. However, they are bound to act independently – free from other influences such as those governments which appointed them. This is in contrast to the Council of the European Union, which represents governments, the European Parliament, which represents citizens, the Economic and Social Committee, which represents organised civil society, and the Committee of the Regions, which represents local and regional authorities. Through Article 17 of the Treaty on European Union the Commission has several responsibilities: to develop medium-term strategies; to draft legislation and arbitrate in the legislative process; to represent the EU in trade negotiations; to make rules and regulations, for example in competition policy; to draw up the budget of the European Union; and to scrutinise the implementation of the treaties and legislation. The rules of procedure of the European Commission set out the Commission's operation and organisation. Before the Treaty of Lisbon came into force, the executive power of the EU was held by the Council: it conferred on the Commission such powers for it to exercise. However, the Council was allowed to withdraw these powers, exercise them directly, or impose conditions on their use. This aspect has been changed by the Treaty of Lisbon, after which the Commission exercises its powers just by virtue of the treaties. Powers are more restricted than most national executives, in part due to the Commission's lack of power over areas like foreign policy – that power is held by the European Council, which some analysts have described as another executive. Considering that under the Treaty of Lisbon, the European Council has become a formal institution with the power of appointing the Commission, it could be said that the two bodies hold the executive power of the EU (the European Council also holds individual national executive powers). However, it is the Commission that currently holds executive powers over the European Union. The governmental powers of the Commission have been such that some, including former Belgian Prime Minister Guy Verhofstadt, have suggested changing its name to the "European Government", calling the present name of the Commission "ridiculous". The Commission differs from the other institutions in that it alone has legislative initiative in the EU. Only the Commission can make formal proposals for legislation: they cannot originate in the legislative branches. Under the Treaty of Lisbon, no legislative act is allowed in the field of the Common Foreign and Security Policy. In the other fields the Council and Parliament are able to request legislation; in most cases the Commission initiates on the basis of these proposals. This monopoly is designed to ensure coordinated and coherent drafting of EU law. This monopoly has been challenged by some who claim the Parliament should also have the right, with most national parliaments holding the right in some respects. However, the Council and Parliament may request the Commission to draft legislation, though the Commission does have the power to refuse to do so as it did in 2008 over transnational collective conventions. Under the Lisbon Treaty, EU citizens are also able to request the Commission to legislate in an area via a petition carrying one million signatures, but this is not binding. The Commission's powers in proposing law have usually centred on economic regulation. It has put forward a large number of regulations based on a "precautionary principle". This means that pre-emptive regulation takes place if there is a credible hazard to the environment or human health: for example on tackling climate change and restricting genetically modified organisms. This is opposed to weighting regulations for their effect on the economy. Thus, the Commission often proposes stricter legislation than other countries. Owing to the size of the European market, this has made EU legislation an important influence in the global market. Recently the Commission has moved into creating European criminal law. In 2006, a toxic waste spill off the coast of Côte d'Ivoire, from a European ship, prompted the Commission to look into legislation against toxic waste. Some EU states at that time did not even have a crime against shipping toxic waste; this led the Commissioners Franco Frattini and Stavros Dimas to put forward the idea of "ecological crimes". Their right to propose criminal law was challenged in the European Court of Justice but upheld. As of 2007, the only other criminal law proposals which have been brought forward are on the intellectual property rights directive, and on an amendment to the 2002 counter-terrorism framework decision, outlawing terrorism‑related incitement, recruitment (especially via the internet) and training. Once legislation is passed by the Council and Parliament, it is the Commission's responsibility to ensure it is implemented. It does this through the member states or through its agencies. In adopting the necessary technical measures, the Commission is assisted by committees made up of representatives of member states and of the public and private lobbies (a process known in jargon as "comitology"). Furthermore, the Commission is responsible for the implementation of the EU budget, ensuring, along with the Court of Auditors, that EU funds are correctly spent. In particular the Commission has a duty to ensure the treaties and law are upheld, potentially by taking member states or other institutions to the Court of Justice in a dispute. In this role it is known informally as the "guardian of the treaties". Finally, the Commission provides some external representation for the Union, alongside the member states and the Common Foreign and Security Policy, representing the Union in bodies such as the World Trade Organization. It is also usual for the President to attend meetings of the G8. For members of the incumbent Commission, see Juncker Commission. The Commission is composed of a college of "Commissioners" of 28 members, including the President and vice-presidents. Even though each member is nominated on the basis of the suggestions made by the national governments, one per state, they do not represent their state in the Commission. In practice, however, they do occasionally press for their national interest. Once proposed, the President delegates portfolios among each of the members. The power of a Commissioner largely depends upon their portfolio, and can vary over time. For example, the Education Commissioner has been growing in importance, in line with the rise in the importance of education and culture in European policy-making. Another example is the Competition Commissioner, who holds a highly visible position with global reach. Before the Commission can assume office, the college as a whole must be approved by the Parliament. Commissioners are supported by their personal cabinet who give them political guidance, while the Civil Service (the DGs, see below) deal with technical preparation. The President of the Commission is first proposed by the European Council taking into account the latest Parliamentary elections; that candidate can then be elected by the European Parliament or not. If not, the European Council shall propose another candidate within one month. The candidate has often been a leading national politician, but this is not a requirement. In 2009 (as with 2004), the Lisbon Treaty was not in force and Barroso was not "elected" by the Parliament, but rather nominated by the European Council; in any case, the centre-right parties of the EU pressured for a candidate from their own ranks. In the end, a centre-right candidate was chosen: José Manuel Barroso of the European People's Party. 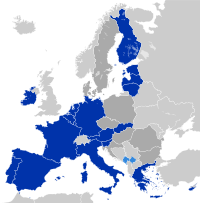 There are further criteria influencing the choice of the candidate, including: which area of Europe the candidate comes from, favoured as Southern Europe in 2004; the candidate's political influence, credible yet not overpowering members; language, proficiency in French considered necessary by France; and degree of integration, their state being a member of both the eurozone and the Schengen Agreement. In 2004, this system produced a number of candidates and was thus criticised by some MEPs: following the drawn-out selection, the ALDE group leader Graham Watson described the procedure as a "Justus Lipsius carpet market" producing only the "lowest common denominator"; while Green-EFA co-leader Daniel Cohn-Bendit asked Barroso after his first speech "If you are the best candidate, why were you not the first?" Following the election of the President, and the appointment of the High Representative by the European Council, each Commissioner is nominated by their member state (except for those states who provided the President and High Representative) in consultation with the Commission President, although he holds no hard power to force a change in candidate. However the more capable the candidate is, the more likely the Commission President will assign them a powerful portfolio, the distribution of which is entirely at his discretion. The President's team is then subject to hearings at the European Parliament which will question them and then vote on their suitability as a whole. If members of the team are found to be too inappropriate, the President must then reshuffle the team or request a new candidate from the member state or risk the whole Commission being voted down. As Parliament cannot vote against individual Commissioners there is usually a compromise whereby the worst candidates are removed but minor objections are put aside so the Commission can take office. Once the team is approved by parliament, it is formally put into office by the European Council (TEU Article 17:7). Following their appointment, the President appoints a number of Vice-Presidents (the High Representative is mandated to be one of them) from among the commissioners. For the most part, the position grants little extra power to Vice-Presidents, except the first Vice-President who stands in for the President when he is away. The European Parliament can dissolve the Commission as a whole following a vote of no-confidence but only the President can request the resignation of an individual Commissioner. However, individual Commissioners, by request of the Council or Commission, can be compelled to retire on account of a breach of obligation(s) and if so ruled by the European Court of Justice (Art. 245 and 247, Treaty on the Functioning of the European Union). The Barroso Commission took office in late 2004 after being delayed by objections from the Parliament, which forced a reshuffle. In 2007 the Commission increased from 25 to 27 members with the accession of Romania and Bulgaria who each appointed their own Commissioners. With the increasing size of the Commission, Barroso adopted a more presidential style of control over the college, which earned him some criticism. However, under Barroso, the Commission began to lose ground to the larger member states as countries such as France, the UK and Germany sought to sideline its role. This has increased with the creation of the President of the European Council under the Treaty of Lisbon. There has also been a greater degree of politicisation within the Commission. The Commission is divided into departments known as Directorates-General (DGs) that can be likened to departments or ministries. Each covers a specific policy area such as agriculture or justice and citizens' rights or internal services such as human resources and translation and is headed by a director-general who is responsible to a commissioner. A commissioner's portfolio can be supported by numerous DGs; they prepare proposals for them and if approved by a majority of commissioners proposals go forward to the Parliament and Council for consideration. The Commission's civil service is headed by a Secretary General, currently Martin Selmayr. The rules of procedure of the European Commission set out the Commission's operation and organisation. There has been criticism from a number of people that the highly fragmented DG structure wastes a considerable amount of time in turf wars as the different departments and Commissioners compete with each other. Furthermore, the DGs can exercise considerable control over a Commissioner with the Commissioner having little time to learn to assert control over their staff. According to figures published by the Commission, 23,803 persons were employed by the Commission as officials and temporary agents in September 2012. In addition to these, 9230 "external staff" (e.g. Contractual agents, detached national experts, young experts, trainees etc.) were employed. The single largest DG is the Directorate-General for Translation, with a 2309-strong staff, while the largest group by nationality is Belgian (18.7%), probably due to a majority (17,664) of staff being based in the country. Communication with the press is handled by the Directorate-General Communication. The Commission's chief spokesperson is Pia Ahrenkilde Hansen who takes the midday press briefings, commonly known as the "Midday Presser". It takes place every weekday in the Commission's press room at the Berlaymont where journalists may ask questions of Commission officials on any topic and legitimately expect to get an "on the record" answer for live TV. Such a situation is unique in the world. It has been noted by one researcher that the press releases issued by the Commission are uniquely political. A release often goes through several stages of drafting which emphasises the role of the Commission and is used "for justifying the EU and the commission" increasing their length and complexity. Where there are multiple departments involved a press release can also be a source of competition between areas of the Commission and Commissioners themselves. This also leads to an unusually high number of press releases, 1907 for 2006, and is seen as a unique product of the EU's political set-up. The number of Commission press releases shows a decreasing trend. 1768 press releases were published in 2010 and 1589 in 2011. There is a larger press corps in Brussels than Washington, D.C.; in 2007, media outlets in every Union member-state had a Brussels correspondent. However, following the global downturn, the press corps in Brussels shrunk by a third by 2010. There is one journalist covering EU news for Latvia and none for Lithuania. Although there has been a worldwide cut in journalists, the considerable press releases and operations such as Europe by Satellite and EuroparlTV leads many news organisations to believe they can cover the EU from these source and news agencies. In the face of high-level criticism, the Commission shut down Presseurop on 20 December 2013. While the commission is the executive branch, the candidates are chosen individually by the 28 national governments, which means it is not possible for a commission member or president to be removed by a direct election. Rather, the legitimacy of the commission is mainly drawn from the vote of approval that is required from the European Parliament, along with its power to dismiss the body, which, in turn, raises the concern of the relatively low turnout (less than 50%) in elections for the European Parliament since 1999. While that figure may be higher than that of some national elections, including the off-year elections of the United States Congress, the fact that there are no elections for the position of commission president calls the position's legitimacy into question in the eyes of some. The fact that the commission can directly decide (albeit with oversight from specially formed 'comitology committees') on the shape and character of implementing legislation further raises concerns about democratic legitimacy. Even though democratic structures and methods are developing there is not such a mirror in creating a European civil society. The Treaty of Lisbon may go some way to resolving the deficit in creating greater democratic controls on the Commission, including enshrining the procedure of linking elections to the selection of the Commission president. An alternative viewpoint is that electoral pressures undermine the Commission's role as an independent regulator, considering it akin with institutions such as independent central banks which deal with technical areas of policy. In addition some defenders of the Commission point out that legislation must be approved by the Council in all areas (the ministers of member states) and the European Parliament in most areas before it can be adopted, thus the amount of legislation which is adopted in any one country without the approval of its government is limited. In 2009 the European ombudsman published statistics of citizens' complaints against EU institutions, with most of them filed against the Commission (66%) and concerning lack of transparency (36%). In 2010 the Commission was sued for blocking access to documents on EU biofuel policy. This happened after media accused the Commission of blocking scientific evidence against biofuel subsidies. Lack of transparency, unclear lobbyist relations, conflicts of interests and excessive spending of the Commission was highlighted in a number of reports by internal and independent auditing organisations. It has also been criticised on IT-related issues, particularly with regard to Microsoft. The Commission is primarily based in Brussels, with the President's office and the Commission's meeting room on the 13th floor of the Berlaymont building. The Commission also operates out of numerous other buildings in Brussels and Luxembourg. When the Parliament is meeting in Strasbourg, the Commissioners also meet there in the Winston Churchill building to attend the Parliament's debates. Additionally, the European Commission has facilities that support it in Alicante, Spain; Munich, Germany; and Varese, Italy. ^ a b c d "Institutions of the EU: The European Commission". Europa. Archived from the original on 23 June 2007. Retrieved 18 June 2007. ^ a b "European Commission - PRESS RELEASES - Press release - European Commission swears oath to respect the EU Treaties". europa.eu. ^ European Commission (2006). How the European Union works: Your guide to the EU institutions (PDF). p. 20. ISBN 92-79-02225-3. Archived from the original (PDF) on 12 January 2012. Retrieved 4 December 2011. Informally, the appointed members of the Commission are known as 'commissioners'. European Commission. "About the European Commission". Retrieved 4 December 2011. A new team of 27 Commissioners (one from each EU country) is appointed every five years. ^ a b Schütze, Robert (2012). European Constitutional Law. Cambridge University Press. pp. 99–100, 118. ISBN 978-0521-73275-8. ^ a b c "EUR-Lex - o10004 - EN - EUR-Lex". eur-lex.europa.eu. ^ European Commission. "Departments (Directorates-General) and services". Archived from the original on 17 January 2010. Retrieved 4 December 2011. The Commission is divided into several departments and services. The departments are known as Directorates-General (DGs). European Commission. "About the European Commission". Retrieved 4 December 2011. 23 000 staff members work in the Commission in departments, known as directorates-general (DGs) or services, each responsible for a particular policy area and headed by a Director-General, who reports directly to the President. ^ a b c d e "European Commission". CVCE. ^ "Council of the European Union". CVCE. ^ a b Ludlow, N (2006). "De-commissioning the Empty Chair Crisis: the Community institutions and the crisis of 1965–6" (PDF). London School of Economics. Archived from the original (PDF) on 25 October 2007. Retrieved 24 September 2007. ^ Eppink, Derk-Jan (2007). Life of a European Mandarin: Inside the Commission. Translated by Ian Connerty (1st ed.). Tielt, Belgium: Lannoo. pp. 221–2. ISBN 978-90-209-7022-7. ^ a b c "Composition". CVCE. ^ "Discover the former Presidents: The Rey Commission". Europa (web portal). Retrieved 23 August 2007. ^ "Discover the former Presidents: The Mansholt Commission". Europa (web portal). Retrieved 23 August 2007. ^ "Discover the former Presidents: The Malfatti Commission". Europa (web portal). Retrieved 23 August 2007. ^ "Discover the former Presidents: The Ortoli Commission". Europa (web portal). Retrieved 23 August 2007. ^ "1977: Jenkins quits Commons for Brussels". BBC News. 3 January 1977. ^ "Discover the former Presidents: The Thorn Commission". Europa (web portal). Retrieved 23 August 2007. ^ "The new Commission – some initial thoughts". Burson-Marsteller. 2004. Archived from the original on 23 September 2006. Retrieved 17 June 2007. ^ "Discover the former Presidents: The Delors Commission". Europa (web portal). Retrieved 23 August 2007. ^ "Second report on Reform of the Commission. Analysis of current practice and proposals for tackling mismanagement, irregularities and fraud. Committee of Independent Experts, 1999". European Parliament. ^ Topan, Angelina (30 September 2002). "The resignation of the Santer-Commission: the impact of 'trust' and 'reputation'" (PDF). European Integration Online Papers. Retrieved 12 June 2007. ^ "Discover the former Presidents: The Santer Commission". Europa (web portal). Retrieved 23 August 2007. ^ Rossant, John (27 September 1999). "Commentary: Romano Prodi: Europe's First Prime Minister? (int'l edition)". Business Week. Archived from the original on 23 October 2007. Retrieved 17 June 2007. ^ Fraser, Ian (8 August 2004). "Auditor blames politicians for EC waste and corruption". The Sunday Herald. Archived from the original on 24 September 2015. ^ "Guido Strack – the downfall of a whistleblower, 2011". Presseurop.eu. ^ "Paul van Buitenen: Alleged irregularities in OLAF". Eur-law.eu. Archived from the original on 30 March 2012. ^ Smyth, Jamie (5 September 2009). "Rejection may undermine EU's effectiveness, warns Swedish premier". The Irish Times. Retrieved 15 September 2009. ^ a b "The Union's institutions: Commission". Europa (web portal). Retrieved 6 July 2007. ^ Council of the European Union (20 June 2007). "Brussels European Council 21/22 June 2007: Presidency Conclusions" (PDF). Retrieved 22 June 2007. ^ HERSZENHORN, DAVID M. (17 November 2016). "'Monster' at the Berlaymont". Politico. Retrieved 3 May 2017. ^ "Interview with European Commission Secretary-General Catherine Day". EurActiv. 25 September 2006. Retrieved 17 June 2007. ^ "Implementing powers of the Council of the European Union". CVCE. ^ a b Stark, Christine (4 September 2002). "Evolution of the European Council: The implications of a permanent seat" (PDF). Dragoman. Archived from the original (PDF) on 25 March 2009. Retrieved 10 July 2007. ^ Bermann, George (2004). "Executive Power in the New European Constitution" (RTF). New York University. Retrieved 18 June 2006. ^ Verhofstadt, Guy (2006). The United States of Europe. London: Federal Trust. p. 69. ISBN 1-903403-86-3. ^ "Glossary: Right of initiative". Europa (web portal). Archived from the original on 8 July 2007. Retrieved 18 June 2007. ^ "The Commission's right of initiative" (PDF). Europa (web portal). Archived from the original (PDF) on 25 October 2007. Retrieved 18 June 2007. ^ Murray, Alasdair (30 September 2002). "Reform now or languish later". Centre for European Reform. Archived from the original on 28 September 2007. Retrieved 18 June 2007. ^ Wallis, Diana; Picard, Severine. "The Citizens' Right of Initiative in the European Constitution: A Second Chance for Democracy". Archived from the original on 6 March 2006. Retrieved 18 June 2007. ^ "Brussels rules OK". The Economist. 20 September 2007. Retrieved 22 October 2007. ^ "Counter‑terrorism – EU steps up a gear". European Commission. 6 November 2007. Archived from the original on 13 December 2007. Retrieved 21 November 2007. ^ "Glossary: Comitology". Europa (web portal). Archived from the original on 29 June 2007. Retrieved 18 June 2007. ^ a b "The European Commission". Europa (web portal). Archived from the original on 23 June 2007. Retrieved 18 June 2007. ^ a b c Lungescu, Oana (23 July 2004). "Examining the EU executive". BBC News. Retrieved 18 September 2007. ^ Eppink, Derk-Jan (2007). Life of a European Mandarin: Inside the Commission. Translated by Ian Connerty (1st ed.). Tielt, Belgium: Lannoo. p. 119. ISBN 978-90-209-7022-7. ^ Fuller, Thomas (30 June 2004). "Portuguese premier wants to unite bloc: Barroso nominated to head EU executive". International Herald Tribune. Retrieved 13 October 2011. ^ "Commission president: Key candidates". BBC News. 27 June 2004. Retrieved 1 July 2007. ^ Cohn-Bendit, Daniel (2004). "Nomination of Commission President handled 'in a most unsatisfactory way'". Europa (web portal). Archived from the original on 29 August 2007. Retrieved 1 July 2007. ^ Beunderman, Mark (22 February 2007). "EU commission sees civil servants' power grow". EU Observer. Retrieved 27 February 2007. ^ Iey Berry, Peter Sain (18 January 2008). "[Comment] Power is slipping from the commission to the council". EU Observer. Retrieved 18 January 2008. ^ "Eurojargon". Europa (web portal). Retrieved 18 June 2007. ^ Amies, Nick (21 September 2007). "Former EU Mandarin Spills the Beans on Commission Intrigue". Deutsche Welle. Retrieved 17 October 2007. ^ a b Mahony, Honor (17 October 2007). "EU carefully manages PR through 1000s of press releases". EU Observer. Retrieved 17 October 2007. ^ "Civil Service: Staff figures". Europa (web portal). Retrieved 5 September 2012. ^ Lynam, Joe (1 April 2007). "The peculiar world of the European Union". BBC News. Retrieved 17 June 2007. ^ "Search result in Rapid, the European Commission's press database, 1 January 2010 to 31 December 2010 and 1 January 2011 to 31 December 2011". Retrieved 5 September 2012. ^ Parker, John (January – February 2007). "A tale of two cities". E!Sharp magazine. Encompass Publications: 42–44. ^ Castle, Stephen (21 March 2010). "As the E.U. Does More, Fewer Tell About It". International Herald Tribune. Retrieved 3 April 2010. ^ Martin Schulz (10 December 2013). "Presseurop's role is essential". Presseurop. Retrieved 14 December 2013. ^ Editorial (2 December 2013). "Without Presseurop?". Presseurop. Retrieved 9 December 2013. ^ Mulvey, Stephen (21 November 2003). "The EU's democratic challenge". BBC News. Retrieved 17 June 2007. ^ Rhinard, Mark (2002). "The Democratic Legitimacy of the European Union Committee System". Governance. 15: 185–210. doi:10.1111/1468-0491.00185. ^ Lamming, Richard (10 September 2004). "The democratic credentials of the new European Union: does the Constitution increase the EU's democratic legitimacy?". Federal Union. Archived from the original on 15 May 2007. Retrieved 17 June 2007. ^ a b Majone, Giandomenico (2002). "Perils of Parliamentarization". Governance. 15 (3): 375–392. doi:10.1111/0952-1895.00193. ^ Mahony, Honor (18 November 2013). "EU citizens complain about lack of transparency, 2009". EUobserver. ^ Willis, Andrew (18 November 2013). "EU sued over lack of transparency, 2010". EUobserver. ^ Harrison, Pete. "Special Report – Europe finds politics and biofuels don't mix, 2010". Reuters. ^ "Analysis: EU Commission expenses highlight lack of transparency in Brussels, 2011". Thebureauinvestigates.com. ^ "/EU Commission Expenses: Cocktail parties, private jets, luxury away-days and limousines, 2011". Thebureauinvestigates.com. ^ "Ex-commissioners face conflict of interest accusations, 2010". Euractiv.com. 14 May 2010. ^ Sarah McInerney (18 April 2009). "Be careful what you write, Eurocrats told". The Sunday Times. ^ Hourdaux, Jérôme (17 December 2013). "The EU and Microsoft's 20-year marriage". Mediapart (via Presseurop). Retrieved 17 December 2013. ^ Riley, Kim (2 January 2018). "European anti-terrorism package prioritizes CBRN preparedness, expert says". Homeland Preparedness News. Retrieved 8 January 2018. ^ "European Commission". Europa. Retrieved 17 September 2013. The Commission is based in Brussels and Luxembourg and has offices (representations) in every EU country and delegations in capital cities around the world. ^ Castle, Stephen (5 August 2004). "After 13 years of hold-ups and incompetence, the EU's 'Berlaymonster' rises like a phoenix". The Independent. London. Archived from the original on 1 October 2007. Retrieved 18 June 2007. ^ Eppink, Derk-Jan (2007). Life of a European Mandarin: Inside the Commission. Translated by Ian Connerty (1st ed.). Tielt, Belgium: Lannoo. p. 213. ISBN 978-90-209-7022-7. European Commission European Commission welcome page – Retrieved 12 May 2016. Documents of the European Commission are consultable at the Historical Archives of the EU in Florence. European Commissions on CVCE website – Multimedia website with historical information on the European integration Studies. No such material is found on the page. This page contains a legal Notice and warning about copyrighted material. Last Access 18 April 2013. Statue of Europe. Retrieved 10 October 2012. The European Court of Auditors (ECA) is the fifth institution of the European Union (EU). It was established in 1975 in Luxembourg. The European Communities (EC), sometimes referred to as the European Community, were three international organizations that were governed by the same set of institutions. These were the European Coal and Steel Community (ECSC), the European Atomic Energy Community, and the European Economic Community (EEC); the last of which was renamed the European Community (EC) in 1993 by the Maastricht Treaty, which formed the European Union. The Santer Commission was the European Commission in office between 23 January 1995 and 15 March 1999. The administration was led by Jacques Santer. The Prodi Commission was the European Commission in office between 1999 and 2004. The administration was led by former Italian Prime Minister Romano Prodi. The Delors Commission was the administration of Jacques Delors, the eighth President of the European Commission. Delors presided over the European Commission for three terms. The first term lasted from 1985 to 1988, the second until 1992 and the final one until 1994, making Delors the longest serving president, and his Commission is also seen as the most successful at advancing European integration. It was the only Commission to serve three times, and Delors served five two-year terms. The third Commission was the first Commission of the European Union, the Maastricht Treaty having come into force in 1993. Manuel Marín González was a Spanish politician, former President of the Congress of Deputies of Spain. He was a long-time member of the European Commission, and acting President during the Santer Commission following the resignation of Jacques Santer. He is considered the father of the Erasmus Programme.